Dan Podjed, Ph.D., Assist. 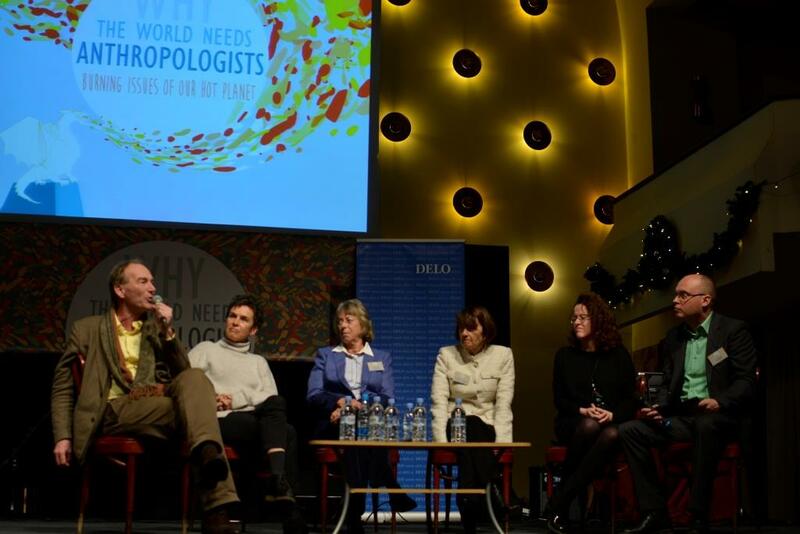 Prof.
On Friday, 27 November 2015, Ljubljana (Slovenia) hosted the third international symposium 'Why the world needs anthropologists'. The theme of this year's event was 'Burning issues of our hot planet'. 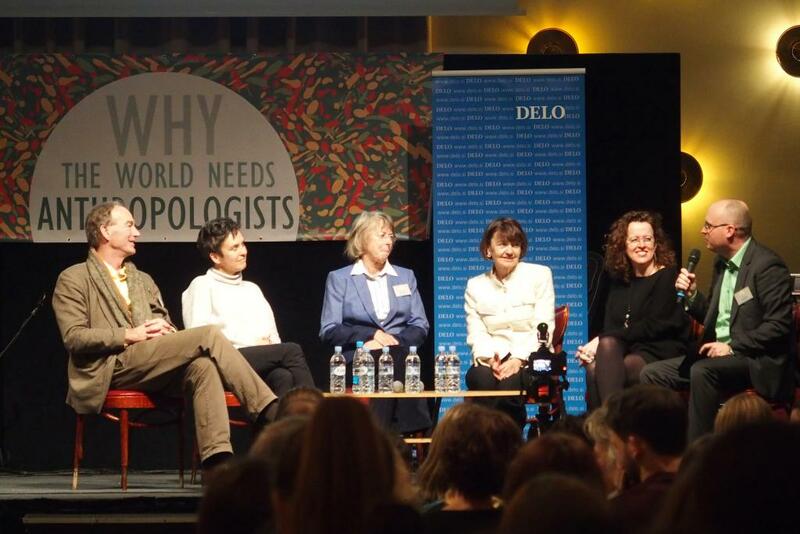 The main purpose of the symposium, which was attended by 450 participants from 25 countries, was the integration of anthropological knowledge and skills with other scientific areas, and particularly with climatology, as well as the IT and non-governmental sectors. 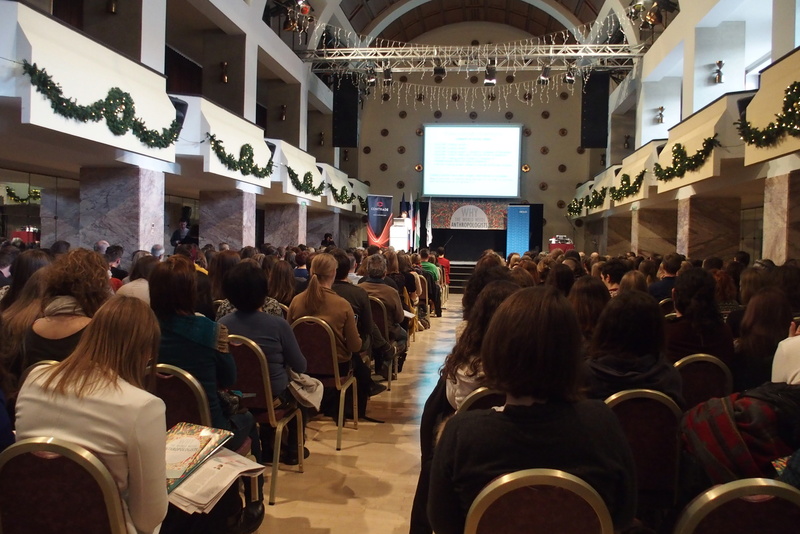 The event attracted established academics, recent graduates, students, as well as members of the general public. Lively presentations were given by world renowned experts who shared their views on resolving the vital issues our society is facing. 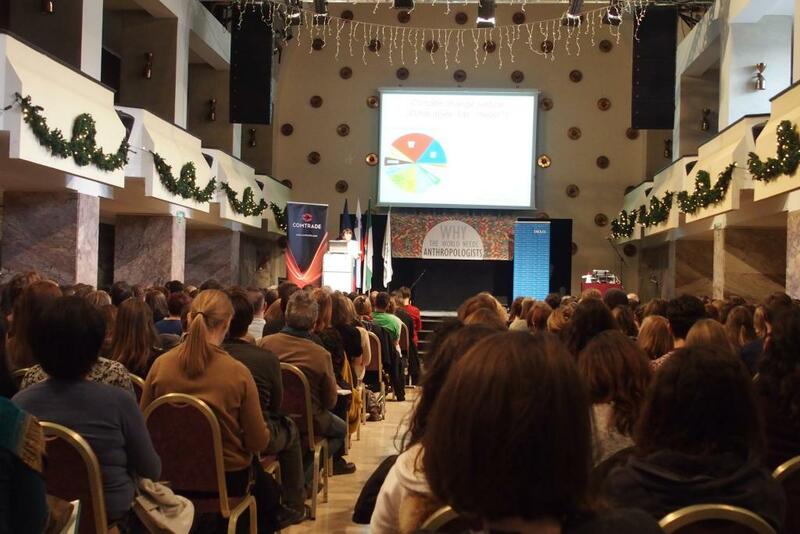 The event was opened by the State Secretary of the Ministry of Education, Science and Sport, Tomaž Boh, and the Deputy Mayor of Ljubljana, Dejan Crnek. The introductory speech was given by Lučka Kajfež Bogataj, a climatologist of the University of Ljubljana and a member of the Nobel award-winning Intergovernmental Panel on Climate Change (IPCC). 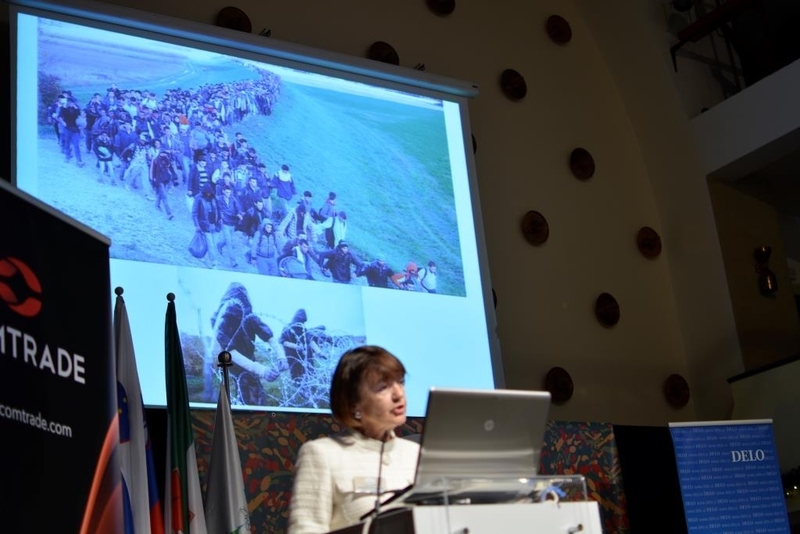 Suggesting alternative, climate change-related explanations of the current refugee crisis, professor Kajfež Bogataj’s presentation immediately engaged the audience, and addressed one of the most burning issues of our planet at the moment. Her talk was followed by Genevieve Bell’s fascinating address. A ‘full-time anthropologist and a part-time futurist’, Bell is the director of user experience at Intel, and one of the key characters in the development of their new technologies. 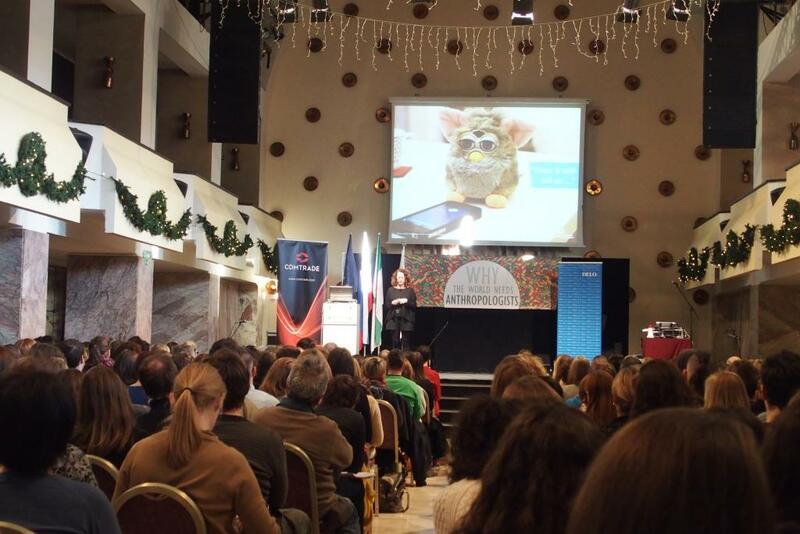 She took the attendees to the future, discussing the curiosity and fear humanity has developed for robots. 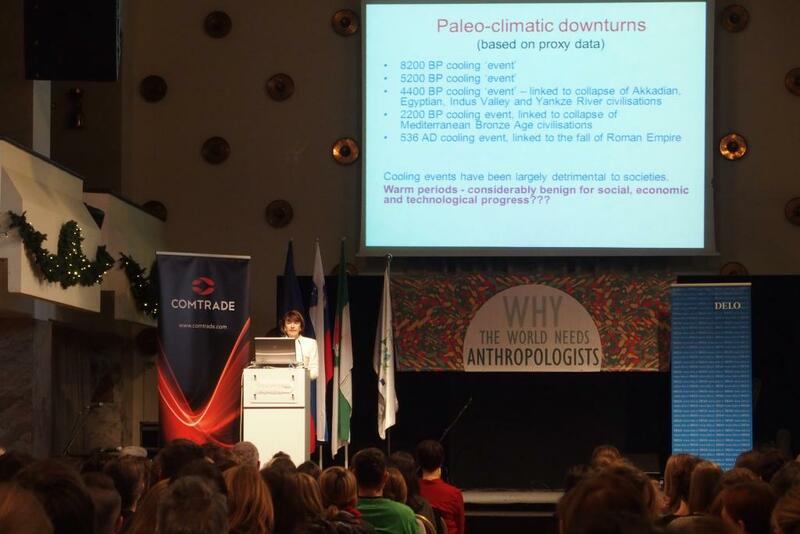 Her speech was followed by a talk given by professor Thomas Hylland Eriksen of the University of Oslo, Norway, who is leading a European project on the social effects of global warming, 'Overheating', and is the president of the European Association of Social Anthropologists (EASA). 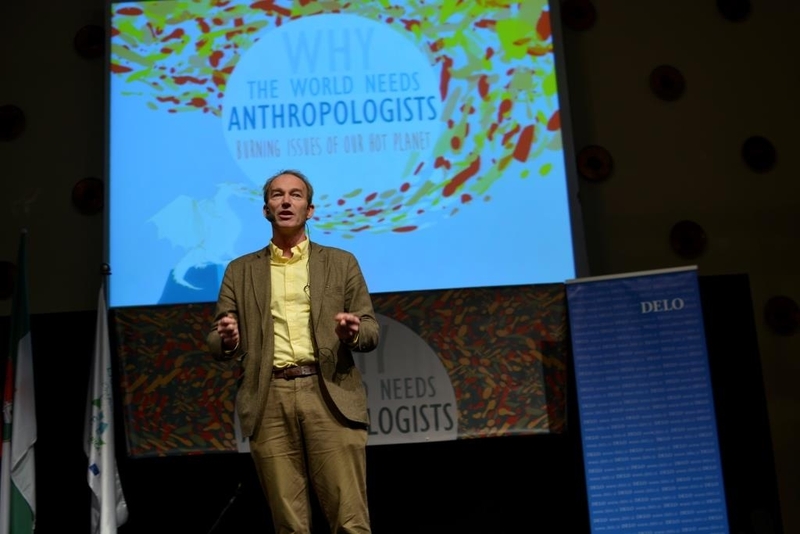 His views on anthropological research and its applicability have particularly challenged those active in the field, while encouraging them to realise that though this kind of research is crucial, it is not sufficient in studying our globalised, interconnected world. During the break following Eriksen’s lively presentation, guests were invited to have a look at a photographic series reflecting the issues faced by Brazilian indigenous people created by a Belgian visual anthropologist David Dhert. 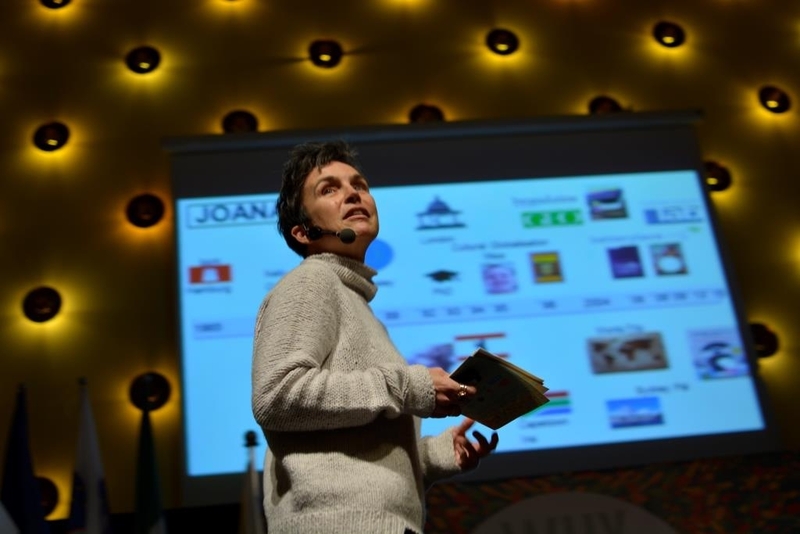 Next, the stage was given to Joana Breidenbach, founder of Germany’s largest donation platform, betterplace.org. 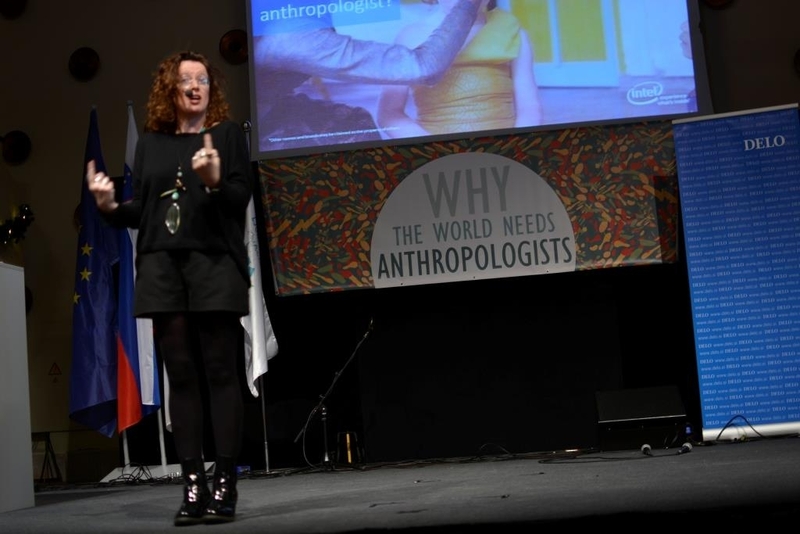 She shared her story of how anthropological perspectives on the society and a trip around the world inspired her to become a social entrepreneur who is now enabling thousands of social projects to collect donations for good causes. betterplace.org have since 2007 helped over 15,000 projects by enabling them to use their free tools to collect donations, and have raised over 26 million euro in donations. The symposium concluded with a discussion hosting the four aforementioned speakers and Lenora Bohren, environmental anthropologist and director of the National Center for Vehicle Emissions Control and Safety (NCVECS) at Colorado State University. 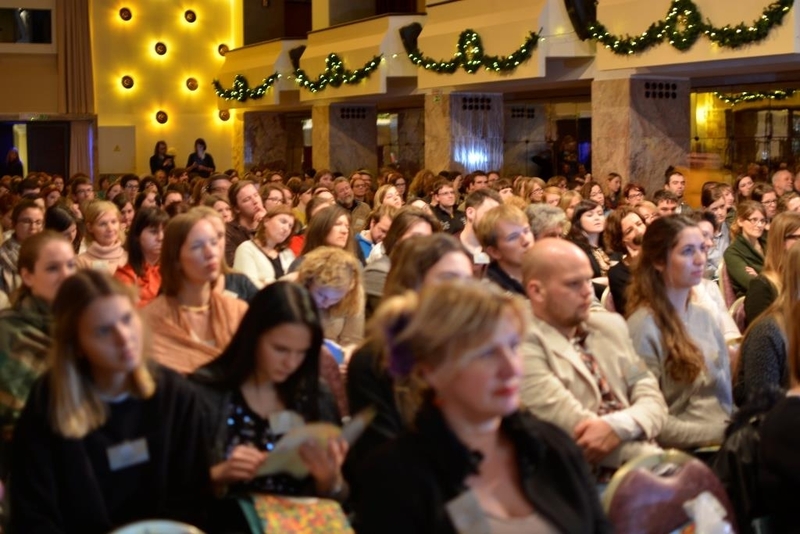 The discussants were challenged by the moderator, Dan Podjed, researcher at the ZRC SAZU and coordinator of the EASA Applied Anthropology Network. The audience was also given the opportunity to address the panellists, and issues on various topics such as climate change, sustainable mobility, security, and the role of the nation state were tackled. The event was concluded with a concert of a popular Slovene band, Manouche, who created a relaxed atmosphere and left the (dancing) participants in a good mood. 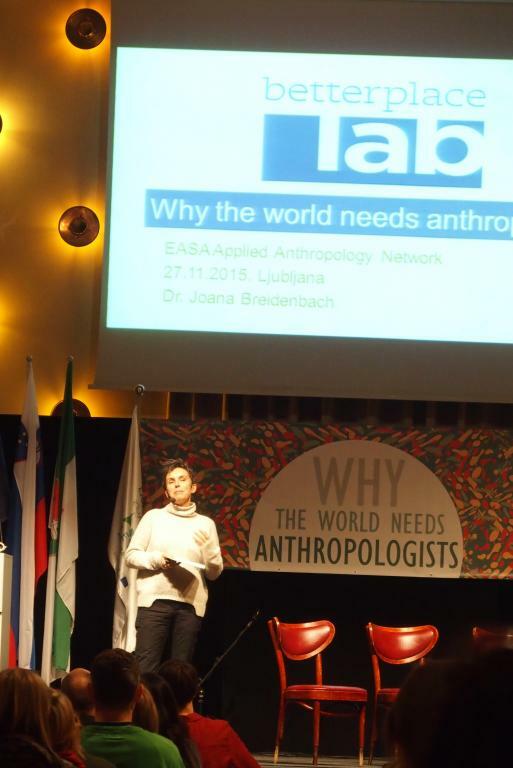 The symposium was organised by the EASA Applied Anthropology Network, Research Centre of the Slovenian Academy of Sciences and Arts, VU University Amsterdam, University Campus CIELS Padova, Slovene ethnological and anthropological association KULA, and University of Delaware. 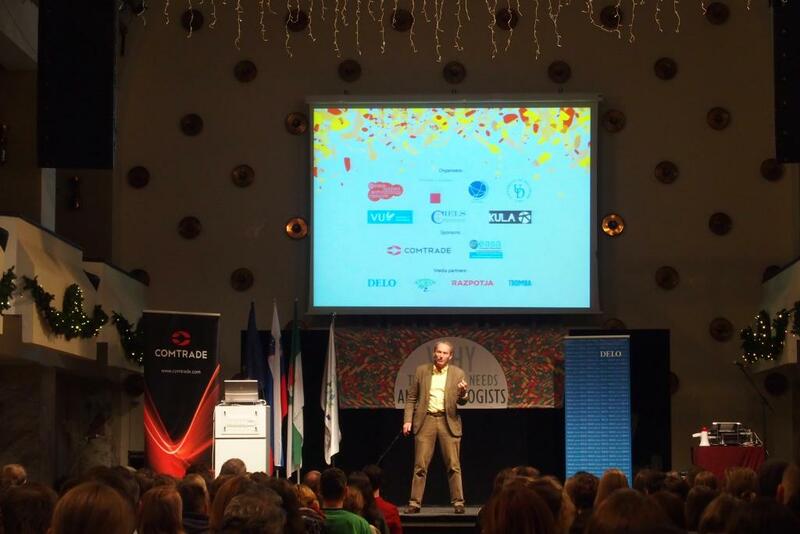 Sponsors of the event were Comtrade and EASA. Media partners were the publishing house Delo, magazine Razpotja, and web portals Metina lista and Tromba. The event was a result of the DriveGreen, a smartphone app for promotion of sustainable mobility.